Yes,I have it and it run extremely fine on all settings. Too bad multi-player's buggy for me. 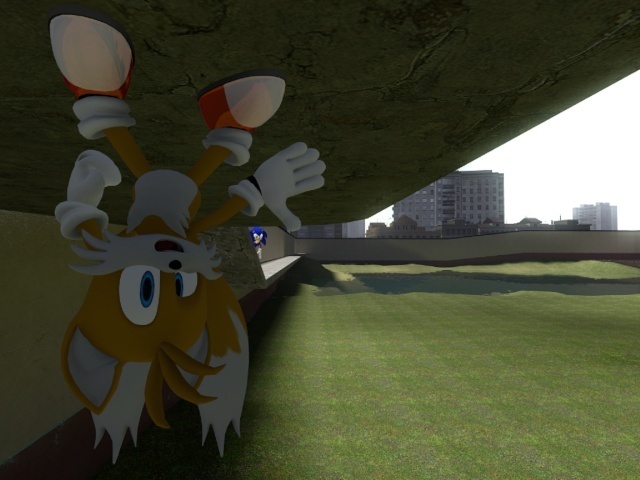 Tails:Why the heck are you upside down? I mass spawn characters and create GENOCIDE. I like to still-pose characters, like they're in the middle of something. But as for singleplayer, I just ethier fool with ragdolls, posing or roping them to objects and making human numchuks, or making bases, or NPC wars. Source Engine is not good with 100 rebels armed with SMGs VS 70 Combine with AR2s and 30 Elites with AR2s. I hung a Renamon ragdoll before. He caused hysteria and leg spasms.